Pro-Tek5 Systems, Ltd. is dedicated to providing leading edge products for protecting and enhancing Ethernet cabling systems. Products include 5KV isolation Ethernet data modules and GR1089 lightning strike and static discharge Ethernet modules. These devices are designed to be installed "in-line" on the existing twisted pair cables for ease of installation by the network installer or personal user of Ethernet networks. Applications include critical network applications such as industrial Ethernet, medical networks, and other applications where lightning strike events are common or the need for high voltage protection is required to avoid risk of computer and peripheral equipment damage and to provide personal safety. Our mission is to provide the industry's most robust protection to the Ethernet network while maintaining IEEE802.3 compliance enabling full cable distance communication. This is achieved through proprietary "State of the Art" designs offering the best performance while providing the desired protection. These devices are also available to our high volume customers under a licensing agreement and will include our OEM customers' name and part number on the devices. Pro-Tek5 Systems, Ltd. products are available exclusively through Halo Electronics, Inc. For more information, please contact HALO Electronics, Inc. or your local HALO representative or distributor. November 16, 2009 - Protek5 Systems Ltd. is pleased to announce our newest product line of POE Mid-span Injectors. The PTPI series provides an easy to use injector designed to connect to a standard "off the shelf" power supply or "wall wart". October 26, 2009 - Pro-Tek5 Systems, Ltd. today announced a new series of Ethernet Isolators. This new PTE-5T series provides the same proven 5KV isolation found in the PTI-45 series while adding the ESD protection that complies with IEC 61000-4-2 for 15KV (air) and 8kV (contact) Electrostatic Discharge. 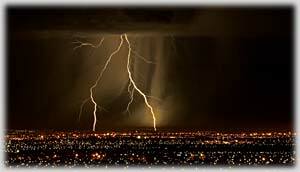 March 18, 2009 - Protek5 Systems is pleased to announce 2 new series of GR1089 compliant lightning strike protectors. These new products include the PTG-2T series which provides both differential and common mode Intra-building protection and the PTG-5T series which provides full GR1089 Inter-building lighting strike protection as well as 5KV isolation. © 2007- 2019 - Pro-Tek5 Systems, Ltd. - All rights reserved.